7:58 a.m. McKee Pl, Pittsburgh, PA 15213. 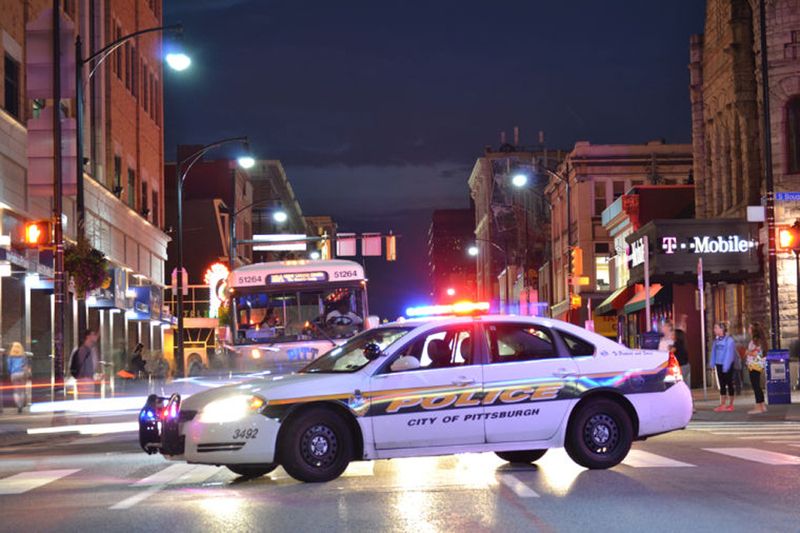 Pitt police assisted city police with a report of a domestic incident. 1:49 p.m. Western Psychiatric Institute and Clinic 3811 O’Hara St, Pittsburgh, PA 15213. Pitt police assisted UPMC security with an assault. 7:55 p.m. 100 Oakland Ave, Pittsburgh, PA 15213. Pitt police responded to a female student’s report of the theft of a bike. 8:46 a.m. Trees Hall 140 Allequippa St, Pittsburgh, PA 15261. Pitt police responded to a male student’s report of the theft of a pair of headphones. 12:29 a.m. 3428 Boulevard of the Allies, Pittsburgh, PA 15213. Pitt police arrested a non-affiliated juvenile for underage drinking. 12:27 a.m. 200 Atwood St, Pittsburgh, PA 15213. Pitt police assisted city police with a retail theft. 12:00 p.m. Salk Hall 3501 Terrace St, Pittsburgh, PA 15213. Pitt police responded to a report of theft of a wallet. 2:33 p.m. Western Psychiatric Institute and Clinic 3811 O’Hara St, Pittsburgh, PA 15213. Pitt police responded to a report from a hospital employee of being assaulted by a juvenile. 9:45 p.m. Petersen Events Center 3719 Terrace St, Pittsburgh, PA 15261. Pitt police responded to a report of theft of an iPad. 12:30 a.m. 200 Atwood St, Pittsburgh, PA 15213. Pitt police issued a citation to a non-affiliated person for smoking marijuana in a public place. 12:36 a.m. Semple St, Pittsburgh, PA 15213. Pitt police responded to a campus security report that a student committed a drug violation. 2:57 a.m. Semple St, Pittsburgh, PA 15213. Pitt police assisted city police with responding to a criminal mischief. 2:37 p.m. Boulevard of the Allies, Pittsburgh, PA 15213. Pitt police issued a citation to a non-affiliated person for public drunkenness. 5:17 p.m. 4149 Forbes Ave, Pittsburgh, PA 15260. Pitt police issued a citation to a non-affiliated person for panhandling. 7:32 p.m. 3700 Forbes Ave, Pittsburgh, PA 15213. Pitt police issued a citation to a non-affiliatd person for possessing an open container of alcohol in public. 7:53 p.m. Hillman Library 3960 Forbes Ave, Pittsburgh, PA 15260. Pitt police issued a citation to a non-affiliatd person for possessing an open container of alcohol in public. 10:30 p.m. 3600 Forbes Ave, Pittsburgh, PA 15213. Pitt police gave a non-affiliated person a verbal warning for aggressive panhandling. 12:06 a.m. 3600 Bates St, Pittsburgh, PA 15213. Pitt police assisted city police with a burglary in progress. 1:26 p.m. Litchfield Tower C 3990 Fifth Ave, Pittsburgh, PA 15213. Pitt police assisted the city fire department with responding to a fire.